Welcome to author Kit Sergeant’s webpage! 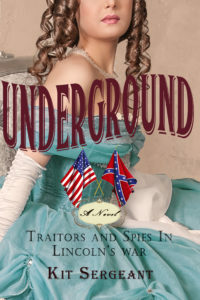 Underground: Traitors and Spies in Lincoln’s War is now available! Join my mailing list get updates on my newest Women Spies book: L’Agent Double!